Another two weeks before school starts and this is the only time an unplanned getaway comes true. the best part is… to no where.. lol! Well, its an unknown place, just somewhere outside Penang. So, off we go to the south…. In 2 hours, everyone packs our begs with whatever we think we might need and by 530pm off we go. First stop, Seri Iskandar, with the intention to visit a son. But we got the surprise, he went off to KL to meet us there…LOL. Had supper at BurgerByte and everyone love it. Next scout for a room for the night. Got a nice, comfy room with 2 queen size bed with a reasonable rate. 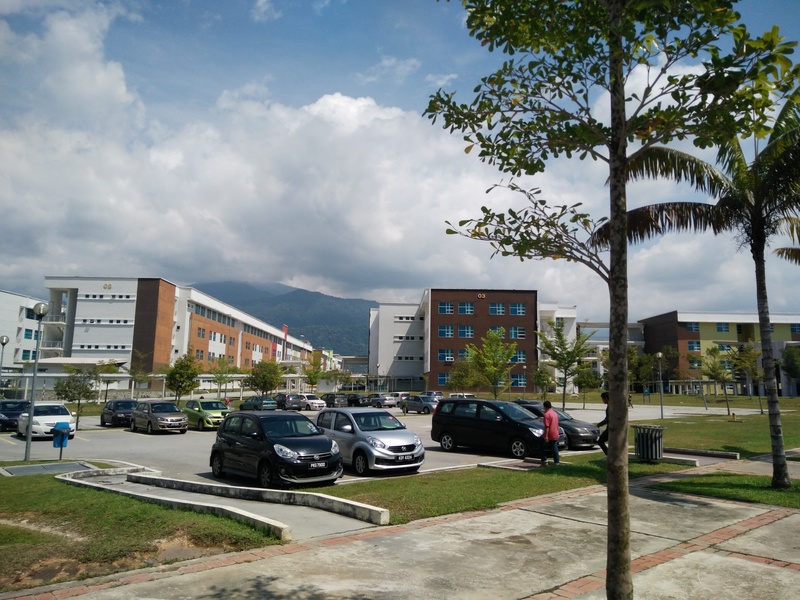 It has been awhile I’ve been in Tanjung Malim… a small town with lots of memories, a town I will always love. 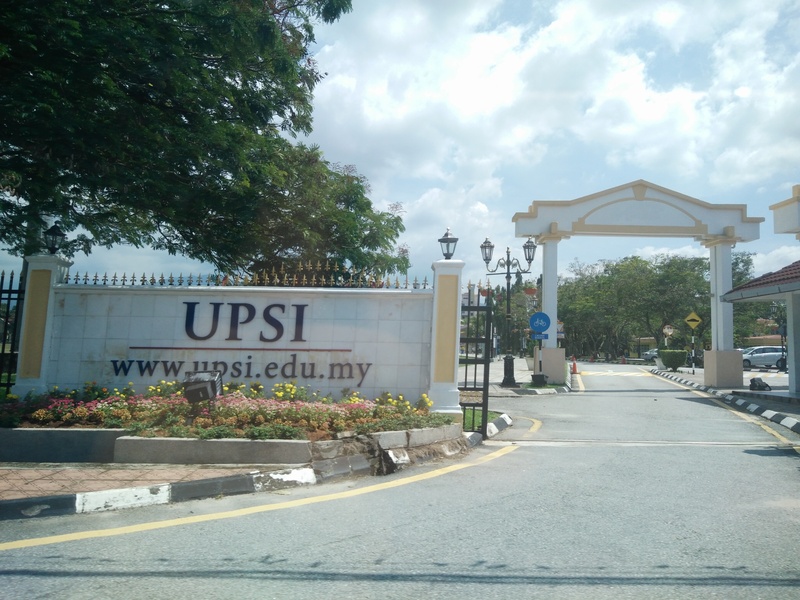 Decide to explore the new campus in Proton City. Stop by Al-Mursyidin Mosque, thanking Allah for the breath to relive campus life. Hunger strike… lunch at Restaurant Ocu Ami near Taman Muhibah, Kg Ketoyong. Crowded and the food was not bad. Road to highway heading Shah Alam. 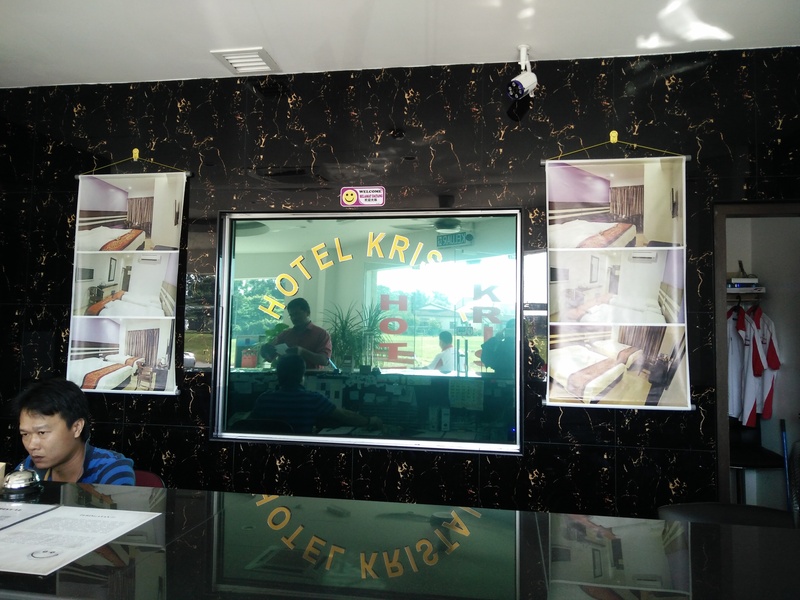 My darling driver got struck with sleepiness,… so stop at RnR Sg Buluh and of course Sate Kajang the choice of everyone. 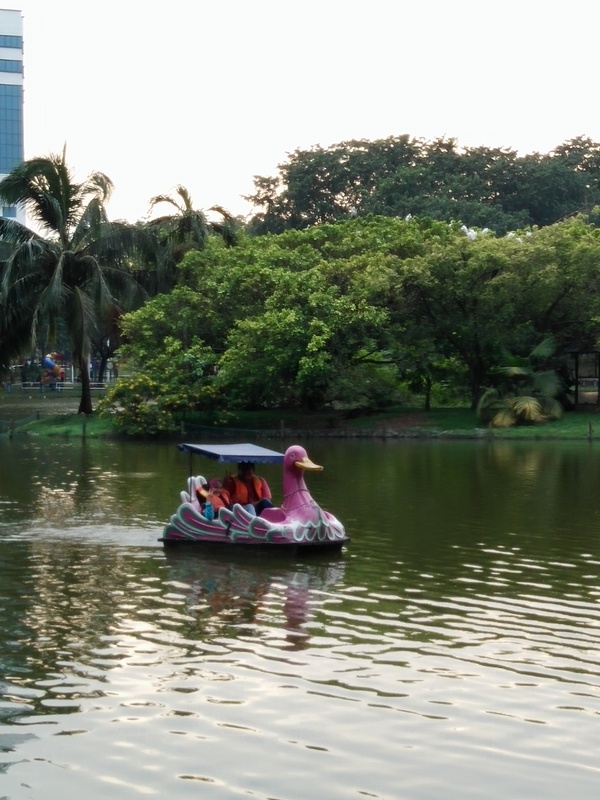 Continue the journey straight to Shah Alam, stroll along the beautiful serene Taman Tasek Shah Alam. A place I used to jog with college friends in the afternoon. Its still the best spot for leisure and sweat place. 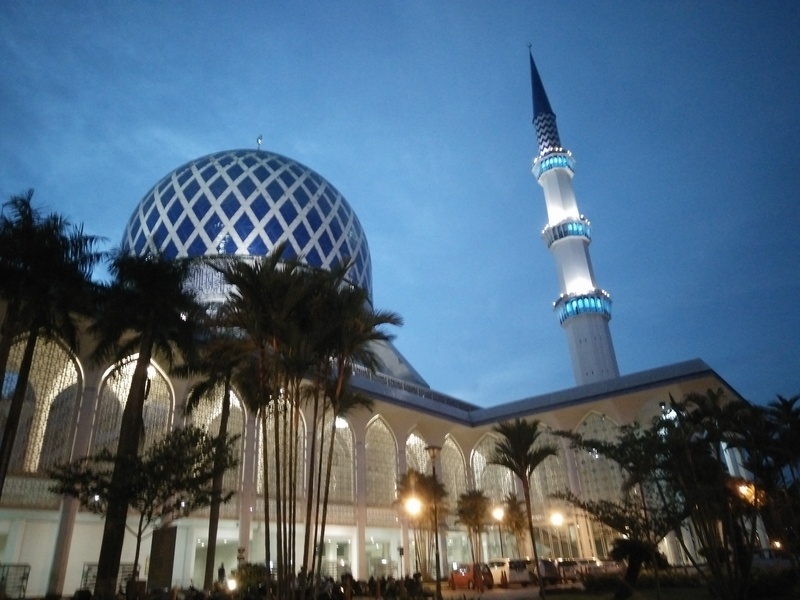 Nearing Maghrib, we went to the Sultan Salahuddin Abdul Aziz Mosque. Had our prayers, stayed for a while watching lots of spiritual aktivities there and mostly youngsters participating. Love to see them in the mosque and doing meaningful activities for their soul and well being. Alhamdulillah. My youngest insisted going to I-City. She wants to see the beautiful lights. Wish granted! A crowded place with all the interesting cartoon figures. She finally wanted to do the PirateShip. Wish granted! She enjoyed it very much. I enjoyed it to! Time is running real fast and we haven’t had dinner. 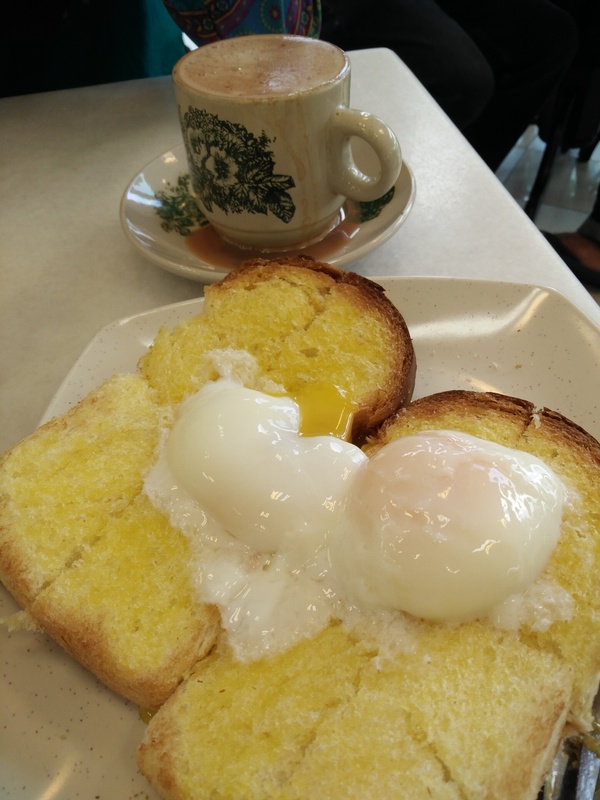 Immediately after picking up my other son, we stopped at Pak Li Kopitiam Seksyen 7. Everyone was quite, lavashing our dinner with heavy eyelids. 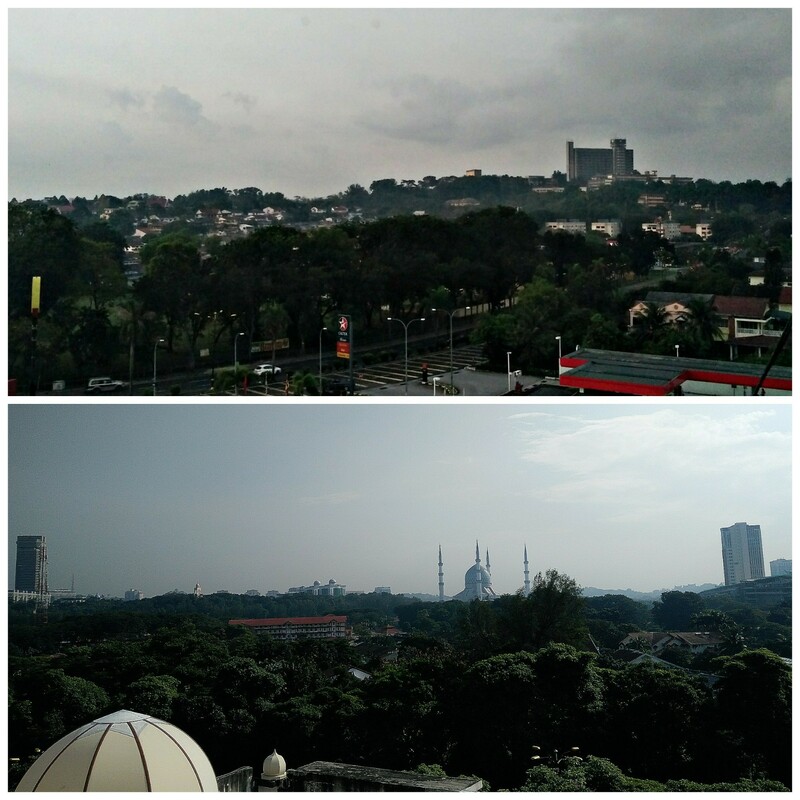 Around 11.30, we got an appartment at Wisma Mais Seksyen 3. In a second, dozing off to dreamland. After a ‘hard’ time waking them up, we checkout at 1130am. Next destination were discussed in the car. 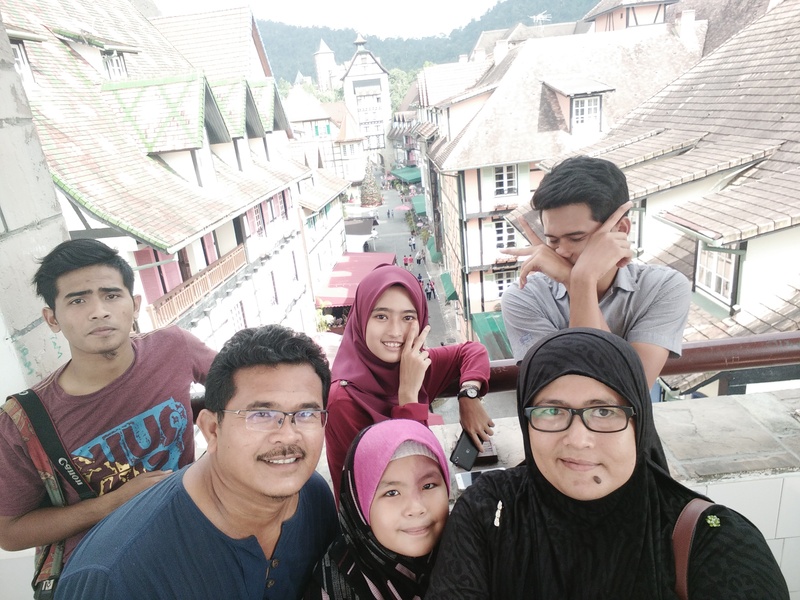 Nas insisted going to Bukit Tinggi… so off we go. All the way only greenery and fresh cool air. What an experience into the woods. 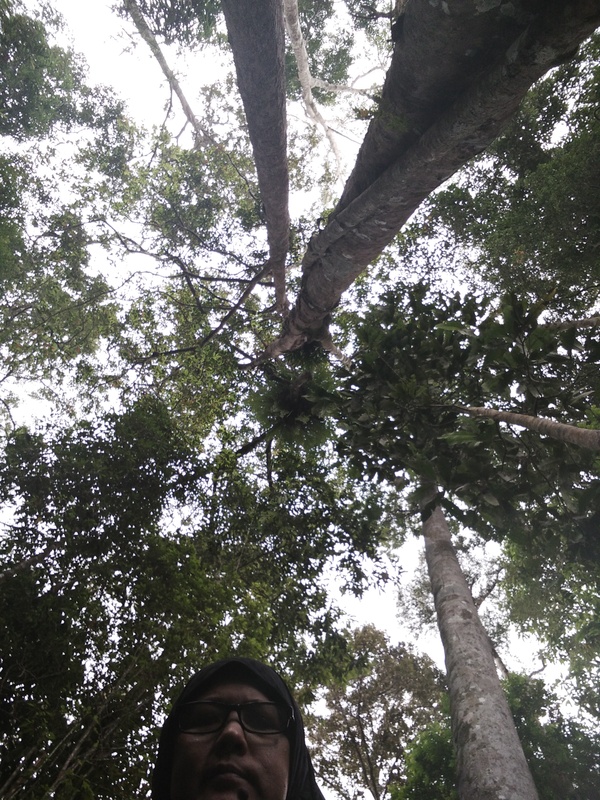 I ‘ ve always have a soft spot on trees, big trees, untouchable and mistery. Climbing up the man made stairs was tiring. on top of the hill, we reach the Japanese Tea Garden. Visitors keep coming and mostly doing their selfie and wefie thingy. 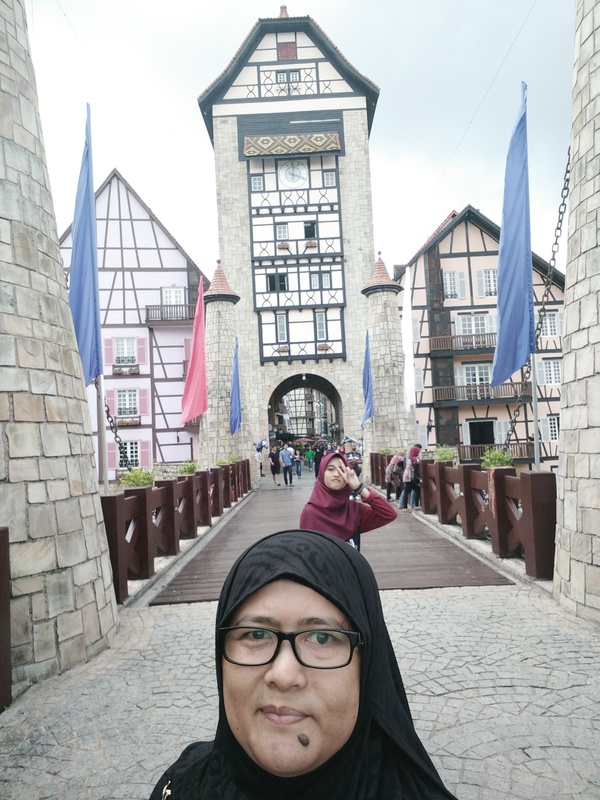 Next stop was the Colmar Tropicale, Bkt Tinggi. A place to pose as if you’re in Europe! So much time spend in doing just that in every inch of the place. Everyone were tired and hungry. We decide to leave the place after spending about 5 hours. 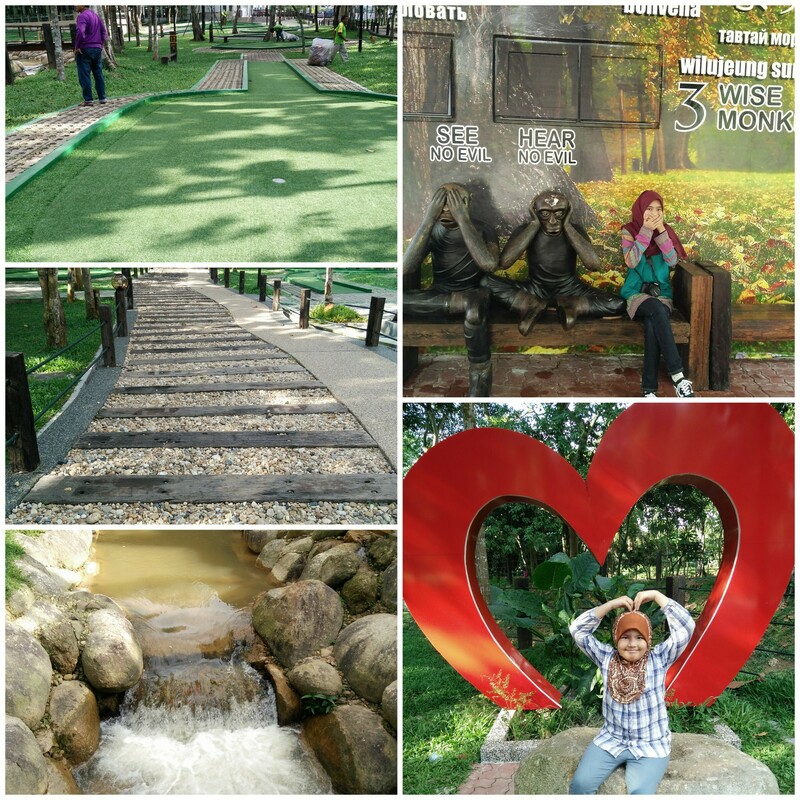 The trip down was smooth and we stopped at RnR Genting Sempah for lunch. The food was not to our expectation and that leaves us feeling hungry. It rained and we waited there to rest while eating Ubi Madu Bakar. As its name, it tasted very sweet indeed. 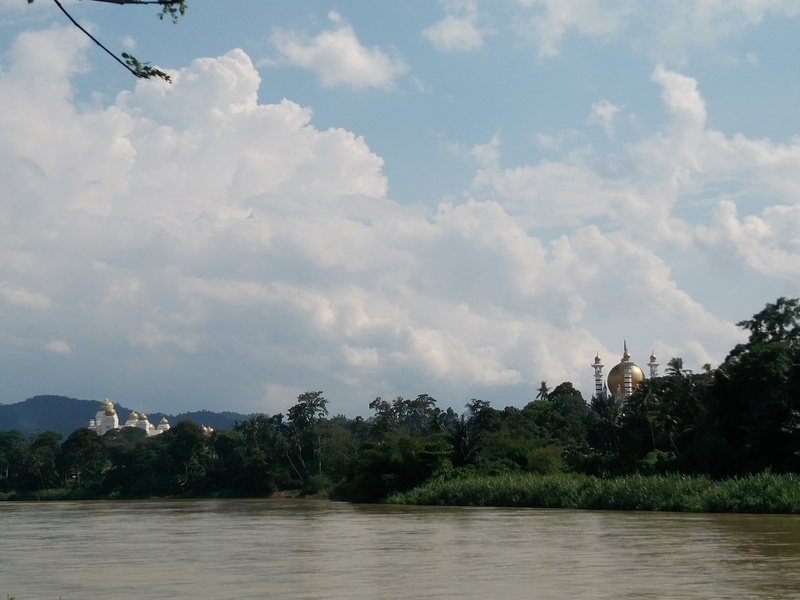 Goodbye Pahang, we will explore you in more detail in our next getaway plans. 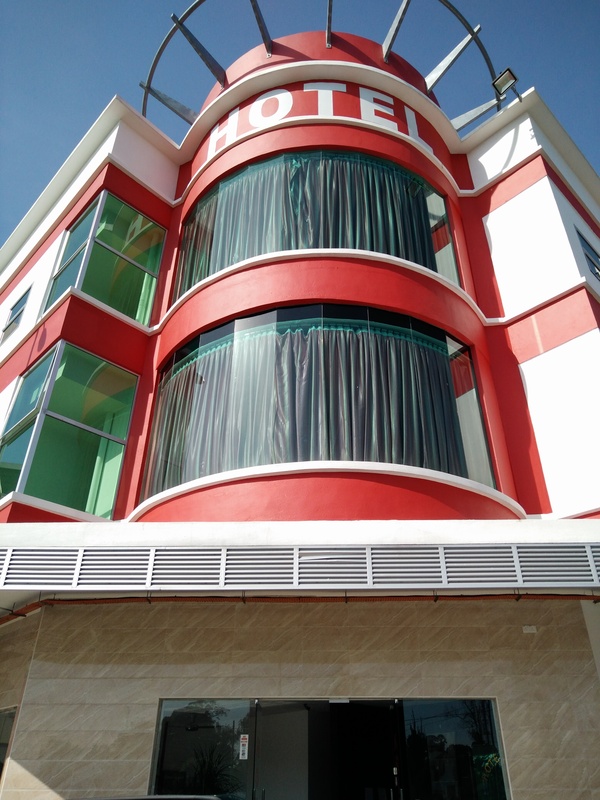 Drove by the North South Highway to Ipoh and we reached there by 10.00 pm. 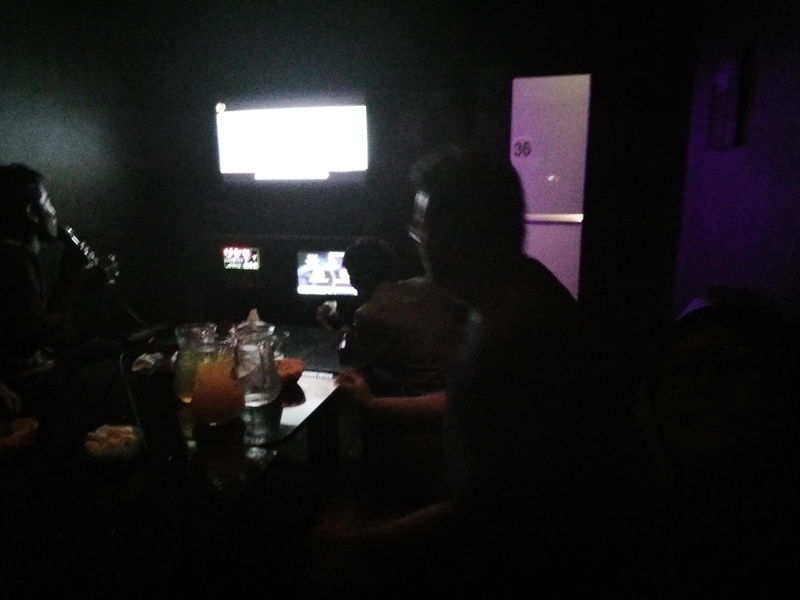 Hubby decided to have a family karoake in Ipoh. Kboxx, singing all out till 2.00am. First time actually, and its kinda fun. Mostly rock songs and my youngest got to sing her favorite Upin Ipin song. 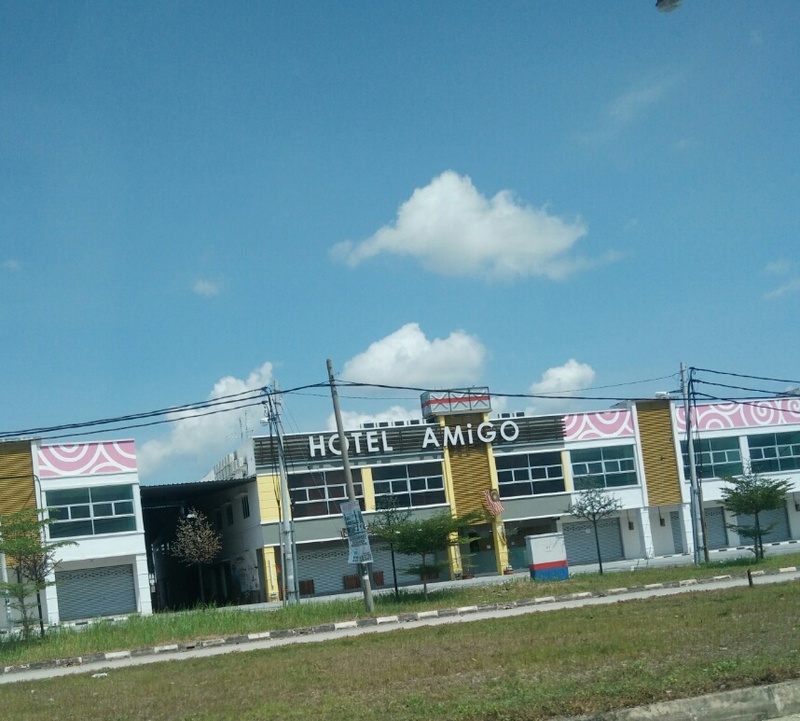 Drove to Seri Iskandar and got two rooms at Hotel Amigo. Hubby coudn’t stand it anymore, straight to bed! My sons went out again to buy supper… burger mamak at 4.00am. End up sleeping around 5.00am and waking up very late. After a hard time waking the girls up, packing all belongings, we checkout at 11.40am. Went to the cafe in Petronas and had our breakfast. Second time here because most of the dish offered is up to our taste. I had Roti Telur Goyang and Cappucinno. Time to say goodbye to Amir, send him to his house. Till next week my dear son. Do your very best in your final exam. Hope all goes well. Next stop was Taiping and we used the alternative road. 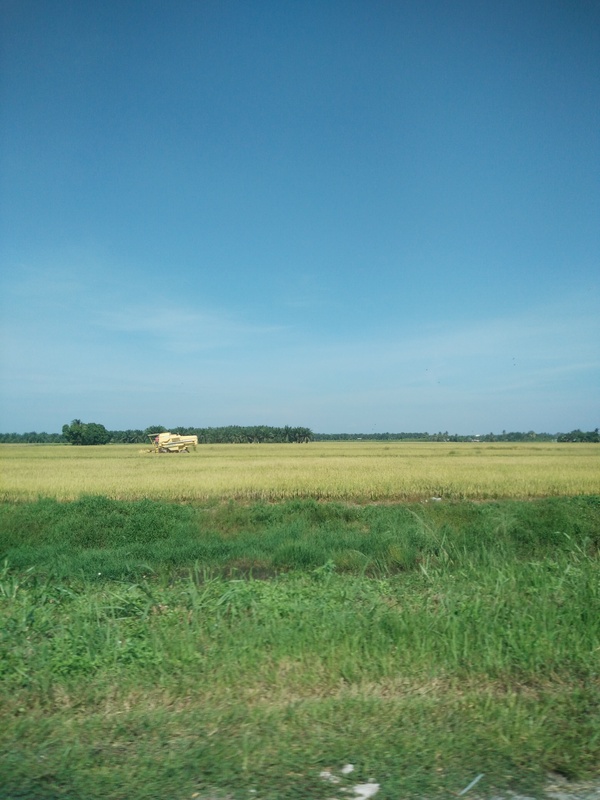 While driving through, we saw labu sayong. 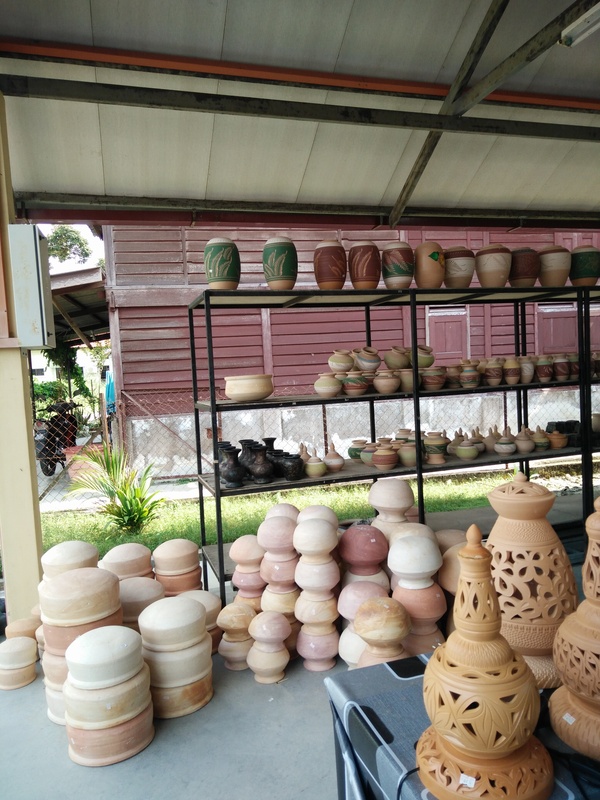 I like the idea of introducing clay vase to my Aishah. 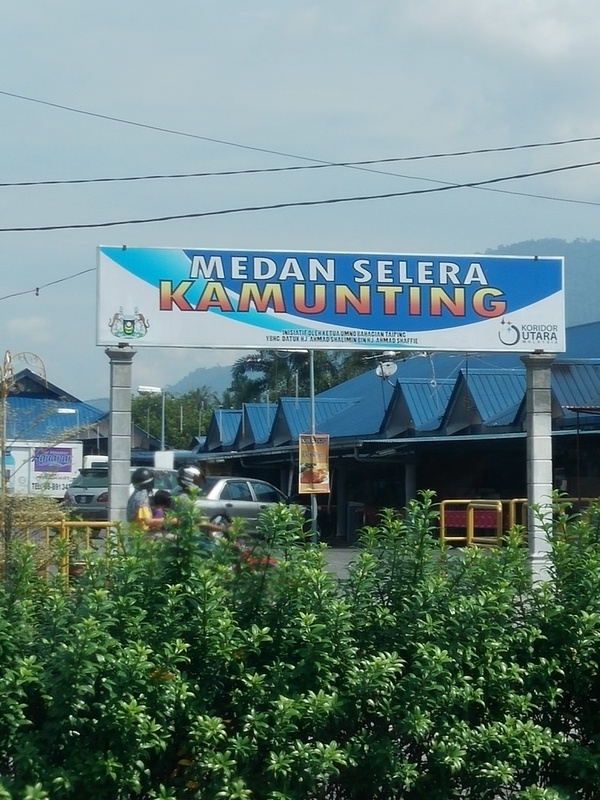 Saw a signboard Pengusaha Labu Sayong by the Persisiran Sayong, alongside the Sg Perak River. Unfortunately they haven’t started to do the clay. So we bought 3 items, small vase and labu air. Must comeback here because Aishah really looking forward to the making of Labu Sayong, InsyaAllah dear. Continue our journey to Taiping. 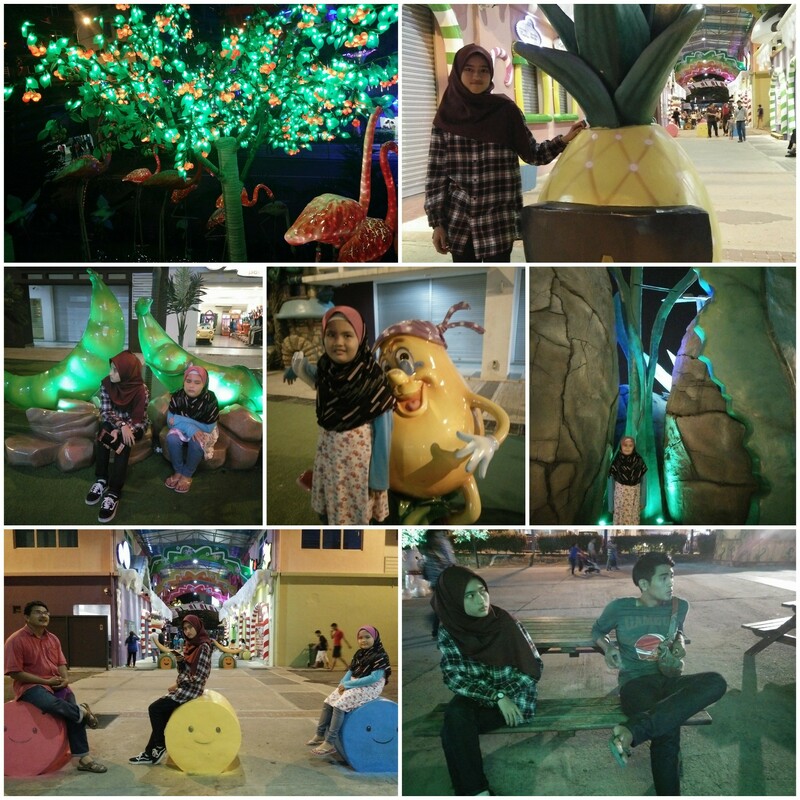 Saw a signboard of a new attraction in Taiping, the Spritzer Ecopark in Air Kuning. A small manmade ecopark taking advantage of the nature, trees and river. It offers activities such as golf, creativity in recycling bottles and walking tracks. Everyone was tired, thirsty and hungry. Went to Kak Kinah’s house to pickup Aishah Homestay key (my mother’s house actually). Rest for the whole evening. Started to feel the fatique and laying down was a blessed. After Maghrib, hubby and me went out to buy dinner. The kids didnt have the energy to go out anymore. Sleep is heaven! We went to Kamunting, had our dinner and take away for the kids, bought fruits and kerepek pisang. The food was delicious, if anyone wants to have sup daging/kambing with bread, can stopped at Medan Selera Kamunting. 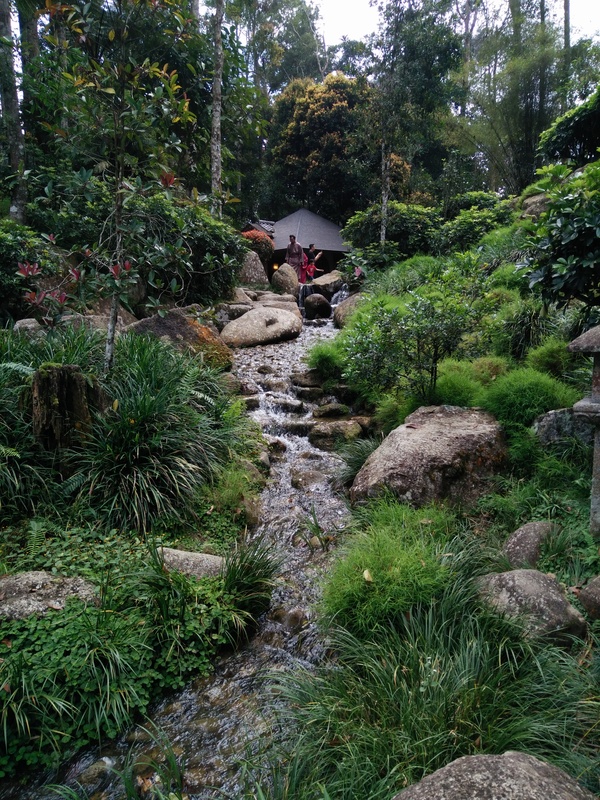 Back in Taiping, its always hard to get up in the morning. Everyone overslept…. 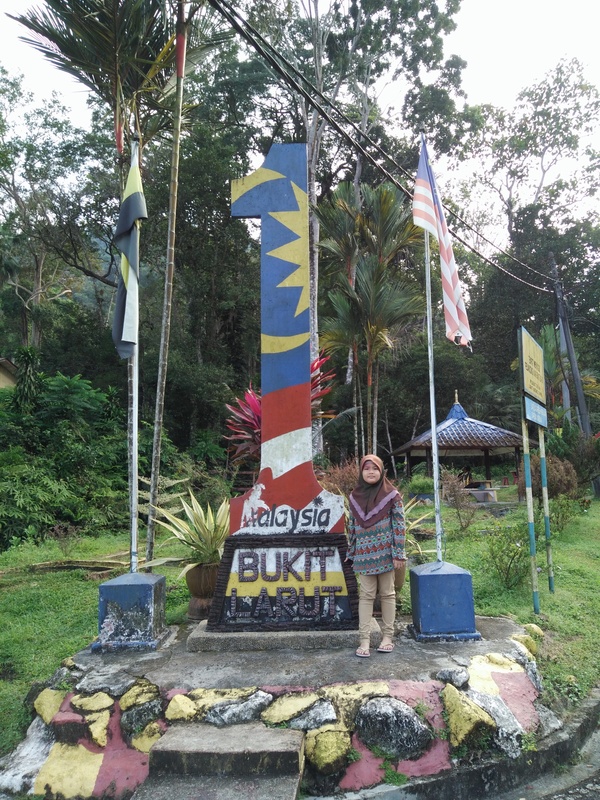 9.30 am, we went to buy breakfast and stopped at kaki Bukit Larut. Unfortunately, the jeep to take visitors not functioning. Pity my hubby, he was looking forward to went up the hill. As promised, we went to the river, Aishah wanted to swim. The water was very cold indeed. 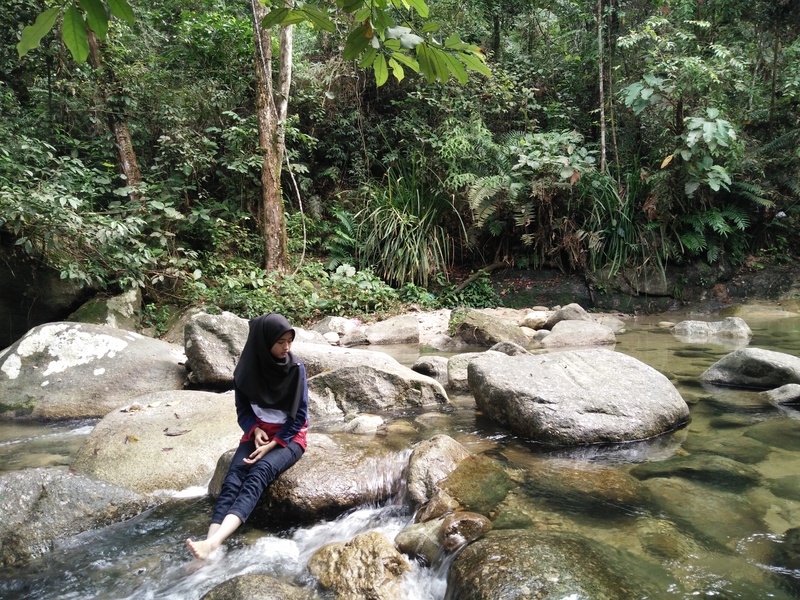 Only Aishah had her swim, the others just enjoying the sound of water flowing, the fresh air and greenary fauna. Breakfast by the river… fantastic feeling! After several persuation, Aishah finally agreed to stop her swimming. We continued our journey back home. All through the drive, the kids and me slept soundly. Pity my hubby, alone driving, until we reached Bukit Tengah. 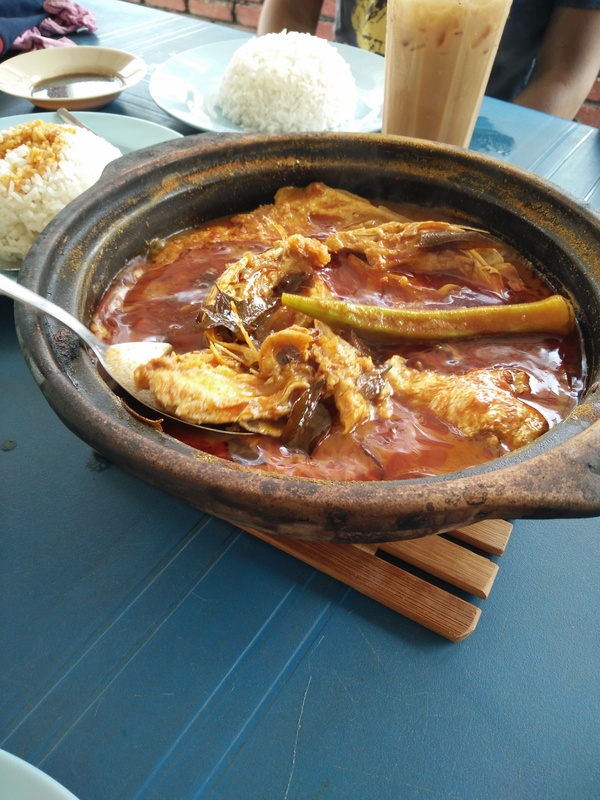 Stopped for lunch, claypot ikan Semilang, Kari Kepala Ikan Merah. Deliciously enjoying our lunch. Home sweet home. 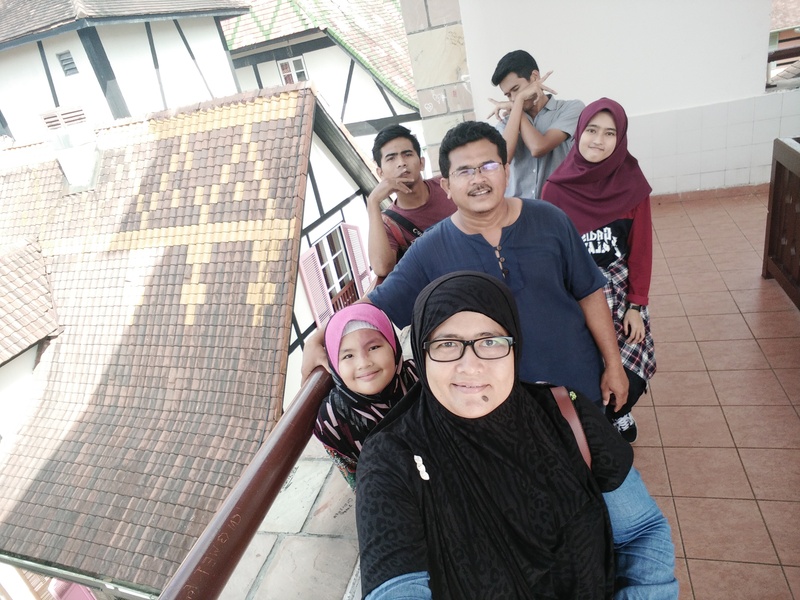 Officially family getaway ended at 3.50 pm. Thank you sayang, Mohd Shukri, for this wonderful and meaningful time spent.